Most Koreans as I recognized later clearly hate the all Japanese no matter what they refuse it if the other nations, including the Japanese, ask it to them. But sadly their anti-Japanese hate crime is a part of the Korean's culture, education, and identity. Here is some example of the Korean's anti-Japanese perspectives throughout their cultural aspect. 高槻むくげの会, is a fake Japanese YMCA-related group operated by the Korean, イキョンジュ, born in 1950. He hate to gain the Japanese nationality because his personal desire to discriminate the Japanese although he stay long enough in Japan. In addition to his illegally staying in Japan, this Korean clearly mentioned that the Japanese cultural loyalty for the Japanese Emperor would be faded out if the Korean dominate Japan, such as illegal immigrants. He also kept mentioning, "If I can live longer than 100 years, I really want to discriminate the Japanese forever as long as I can live in Japan." This Korean insists himself that he is the Japanese if the police asks him for his nationality if he commits a crime scene. 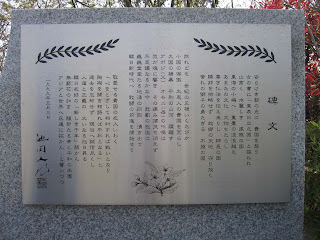 Now many people living in Japan did not know the fact that the Korean culturally hate the Japanese in order to swindle the Japanese for their fake compensation from the Japanese. Here is another graphical example how the Koreans hate the Japanese. 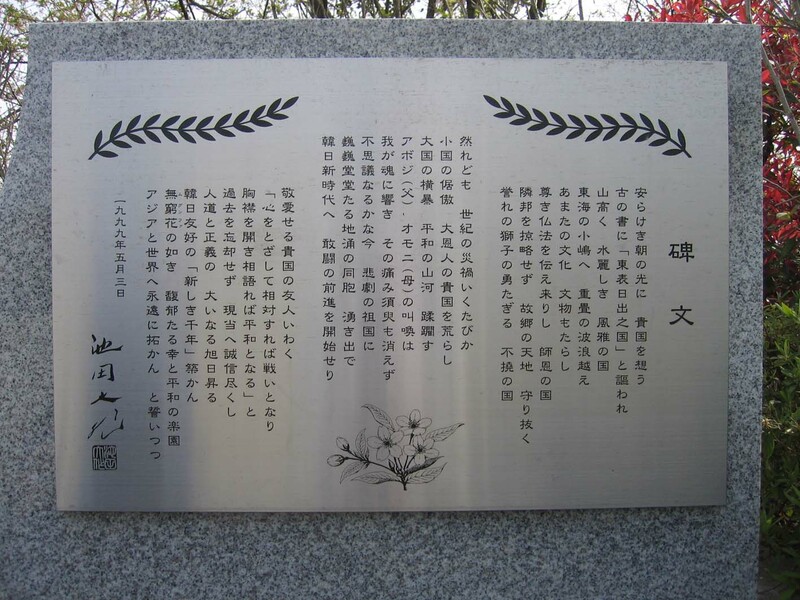 The Korean cult leader, Daisaku Ikeda, made a stone relief saying, "I hate the Japanese, and I would curse all of the Japanese for the Korean mom and dad." Now his cult group is one of the Japanese political party, Komei-Tou. Another Korean political group in Japan is the dominating group, Democratic Party of Japan. The Korean has already been intervening the Japanese politics. In my opinion, I would like to have many international relationship with many other nations but I don't want to see any of the Korean in my sight because I saw the fact that they culturally hate the Japanese. The Korean government promote them to hate the Japanese more by demonstrating many untruthful facts such as the territorial issues and fake intellectual properties. I high suspect that the Korean is the cold-blood murderous illegal aliens to invade the foreign countries including Japan.